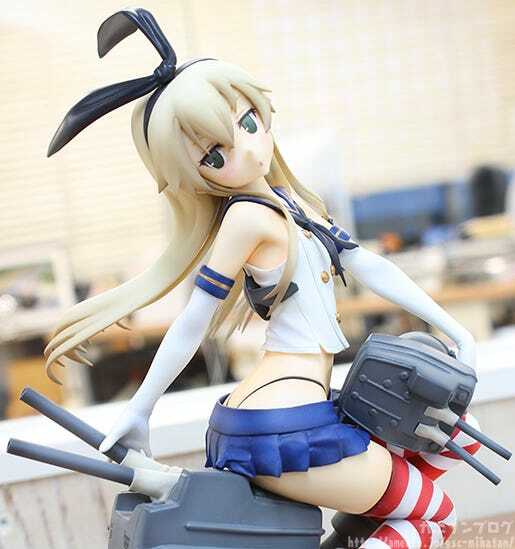 From the popular browser game ‘Kantai Collection -KanColle-‘ comes a 1/7th scale figure of the first Shimakaze-class ship, Shimakaze! 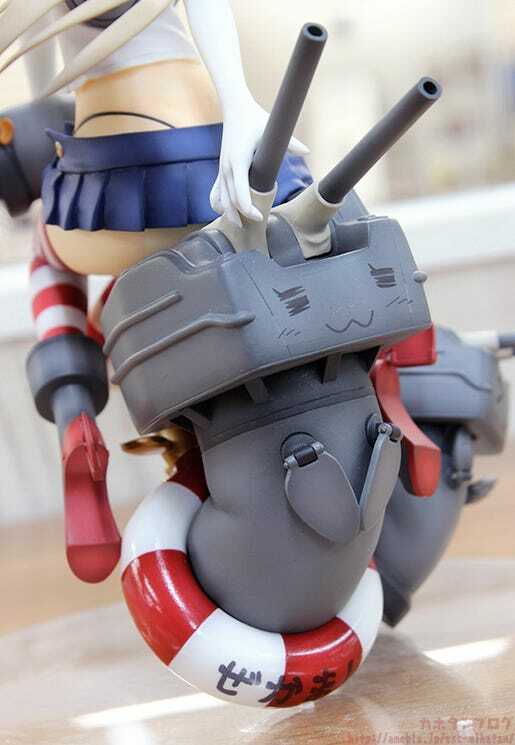 She has been posed taking a little breather while sitting on top of a large Rensouhou-chan together with two more Rensouhou-chans around her creating a complete scene for fans to enjoy in their collection! 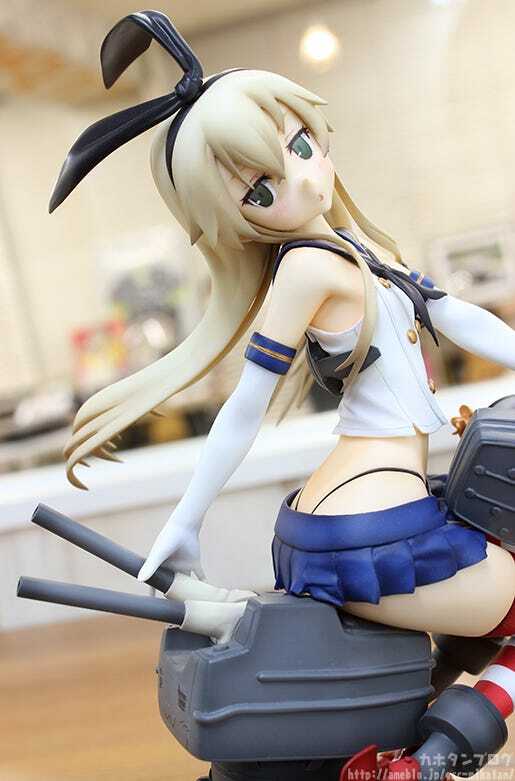 I’m sure if you’re anything like me you can’t wait to get a closer look at Shimakaze herself, but before we go onto the main attraction I first want to take a look each of the adorable Rensouhou-chan figures that are all around her! ▲ That expression looks like one of absolute bliss to me! He is so very cute!! 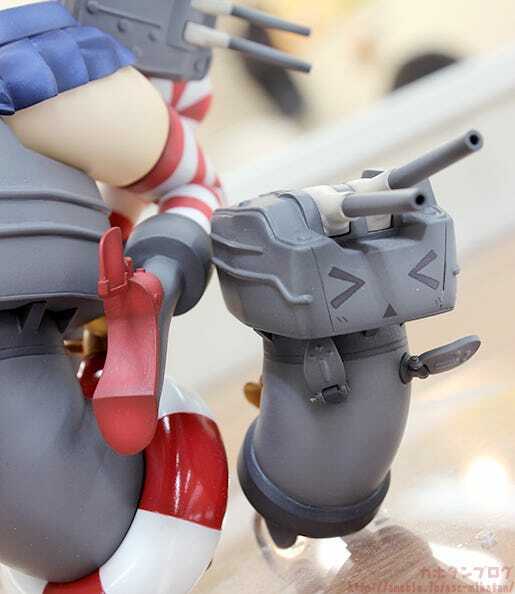 You can also see the difference in texture between Rensouhou-chan and the tube at the bottom which has a shinier appearance! ▲ Perhaps he is embarrassed because of what he can see from down there! He is so very cute!! 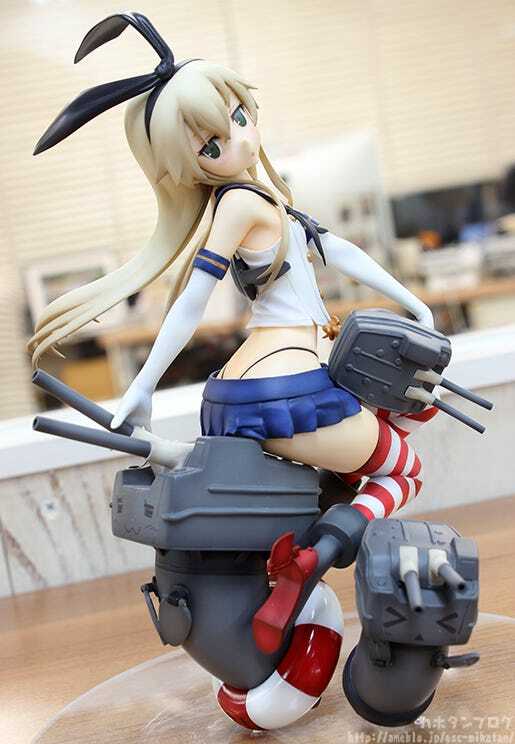 ▲ A Rensouhou-chan in the arms of Shimakaze! I hope he is alright! He is so very cute!! Personally I think #3 is the best! He looks so adorably pitiful! 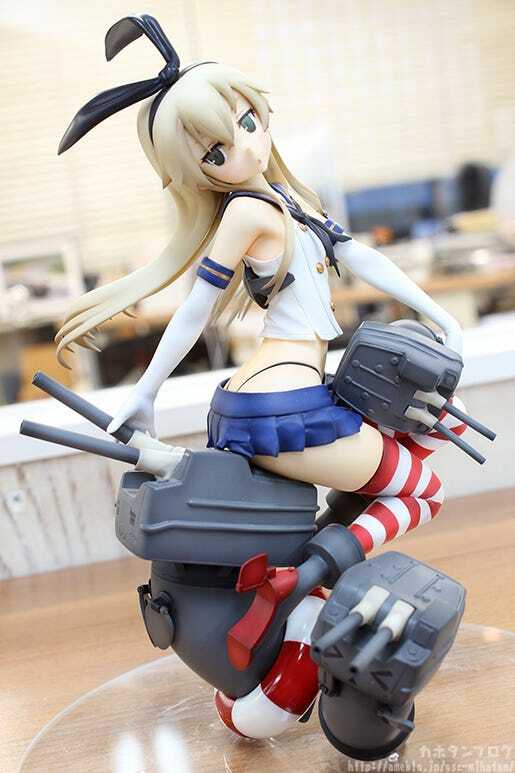 But anyway, that gets the Rensouhou-chan introductions out of the way, so let’s move onto Shimakaze! ▼ A full body shot! 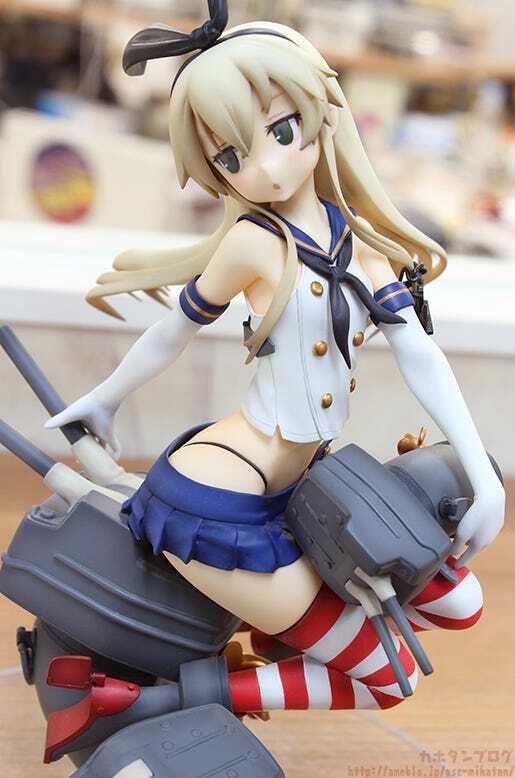 The details on her uniform are all faithfully included on the figure! 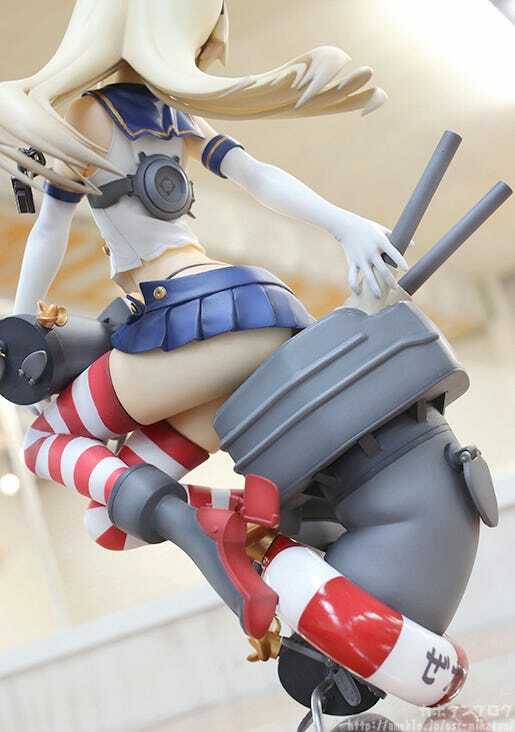 Those golden buttons, long white gloves, red and white pantyhose, super miniskirt as well as the black strings that are peeking out the top of the skirt are all included to create an amazing rendition of Shimakaze in figure form!! Hold on? 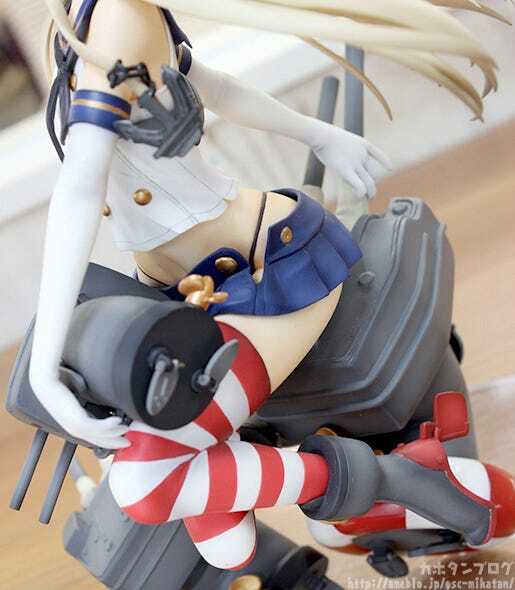 Is her skirt open?! Only those who decide to add her to their collection will be able to know what lies beyond that skirt!! ORDERS AT THE GOODSMILE ONLINE SHOP ARE OPEN UNTIL THE 2ND MARCH 2017!